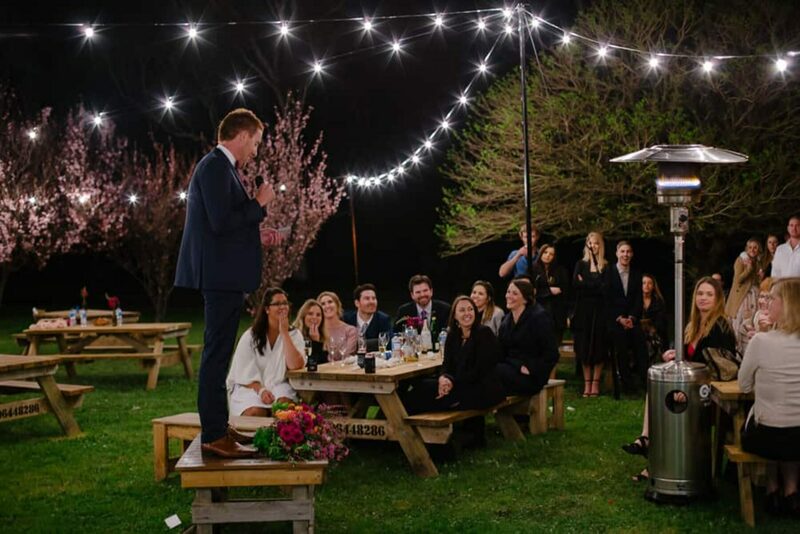 The cherry blossoms were blooming, the cows were grazing and life on the farm was like any other day, except for the fact that Jess and Luke were about to tie the knot ‘neath the trees. 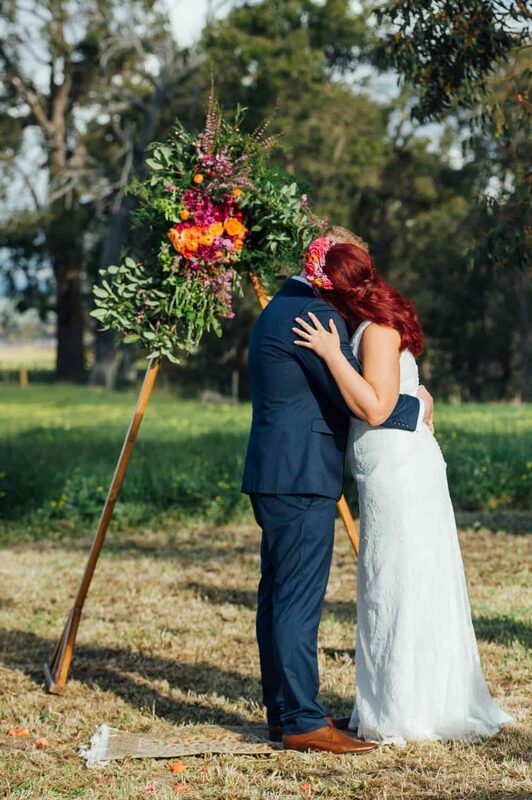 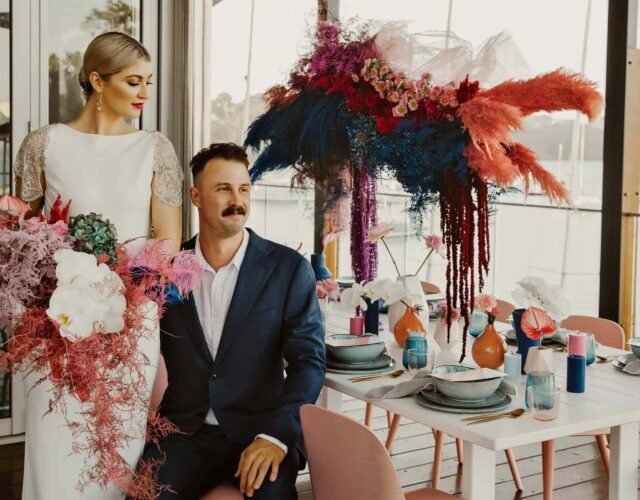 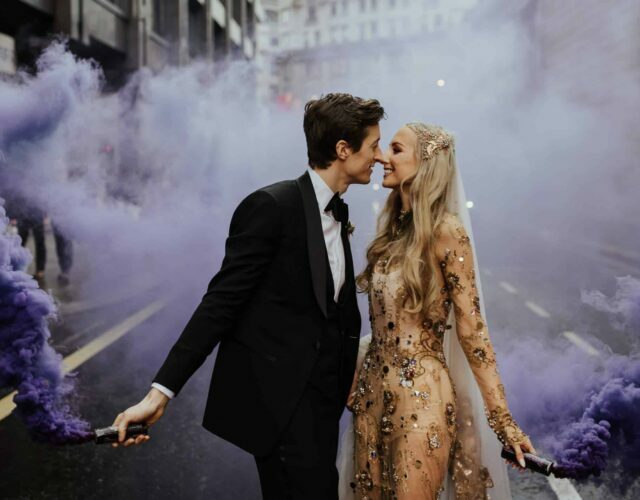 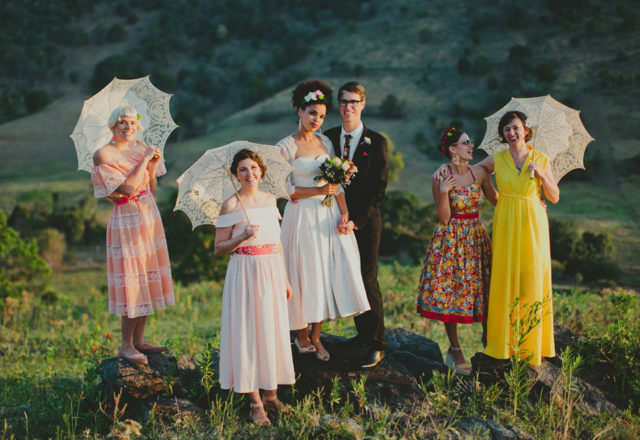 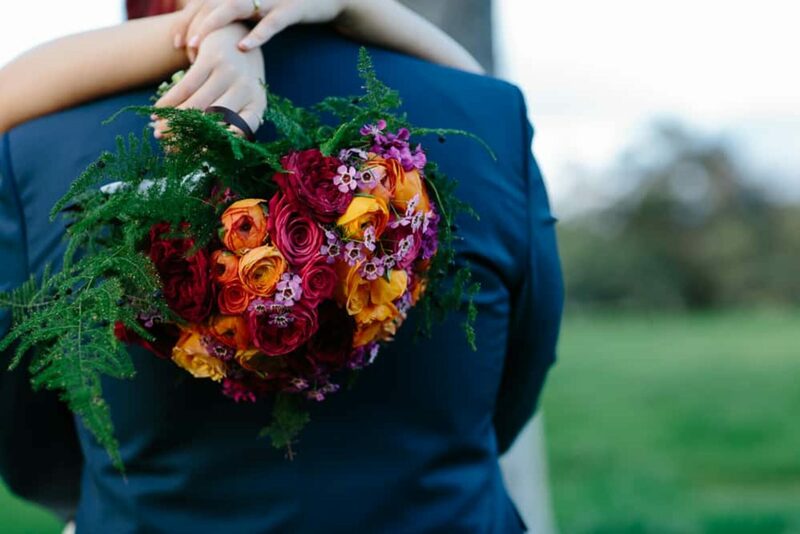 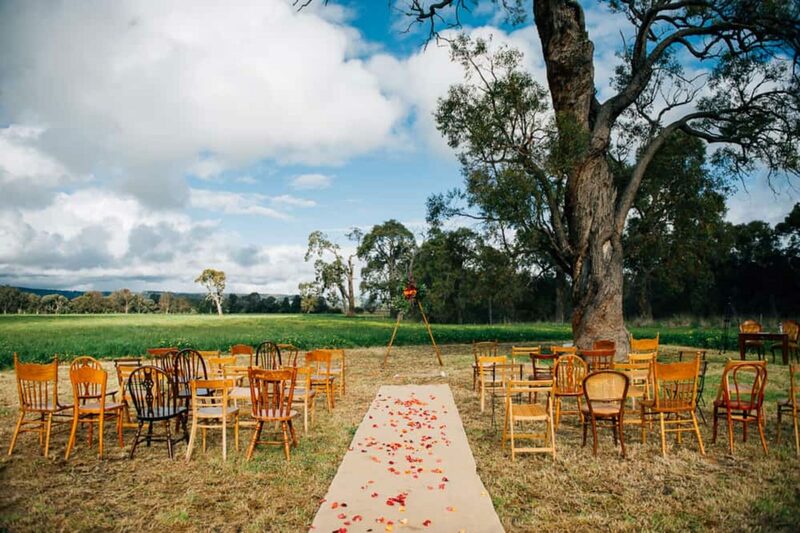 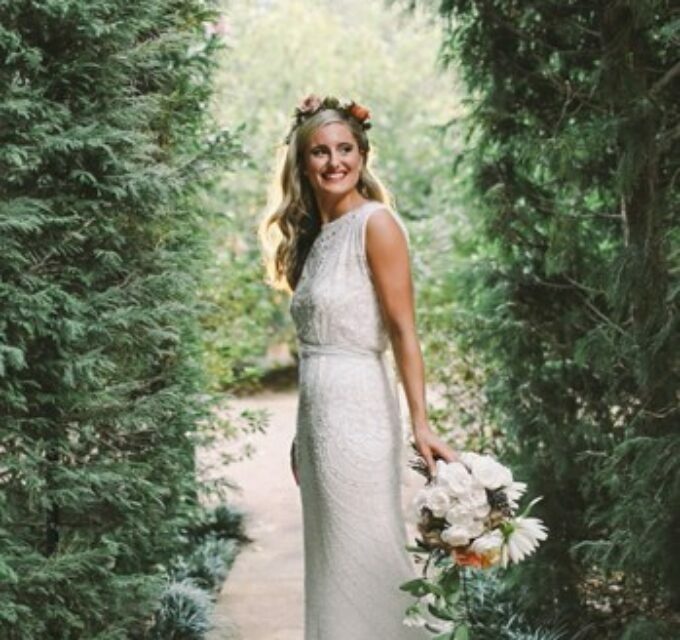 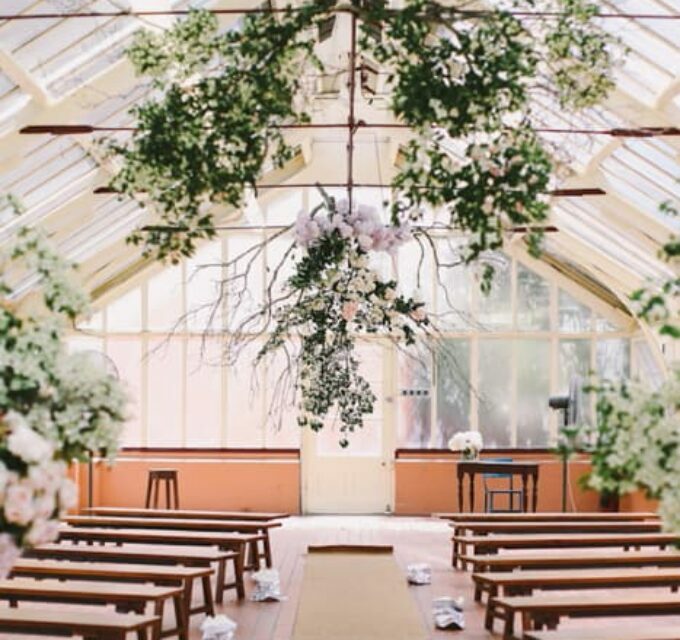 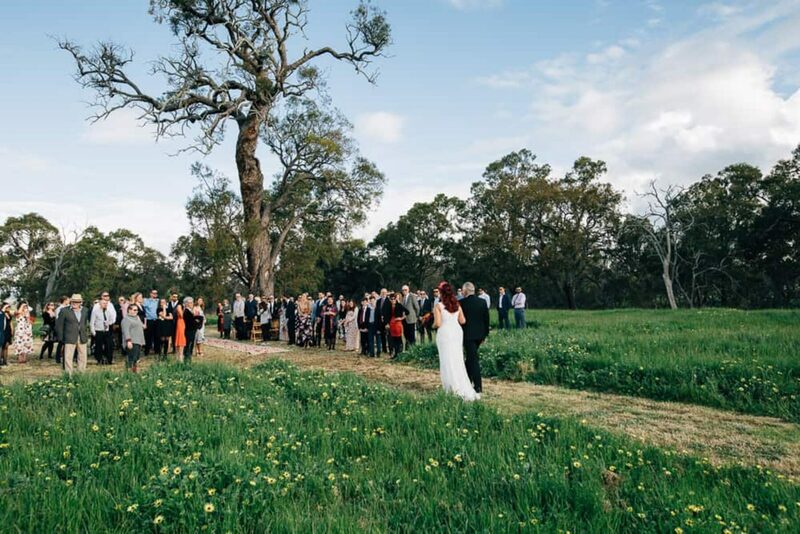 Thanks to a family connection, the pair secured this picturesque private property at Meelon and invited Peggy Saas to capture their day. 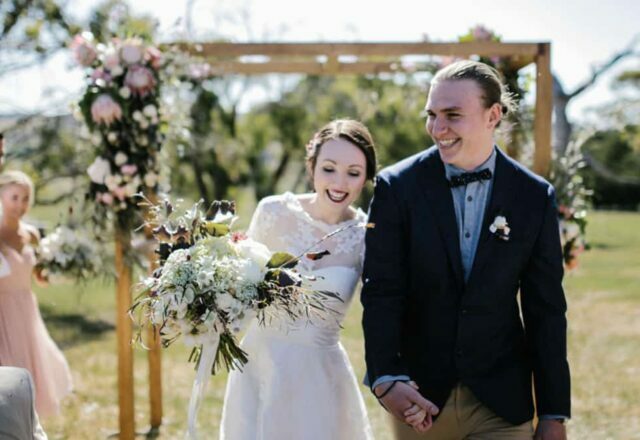 These sweethearts are proof that online dating isn’t dead and after meeting up for the first time in Perth, they hit it off and the rest is history. 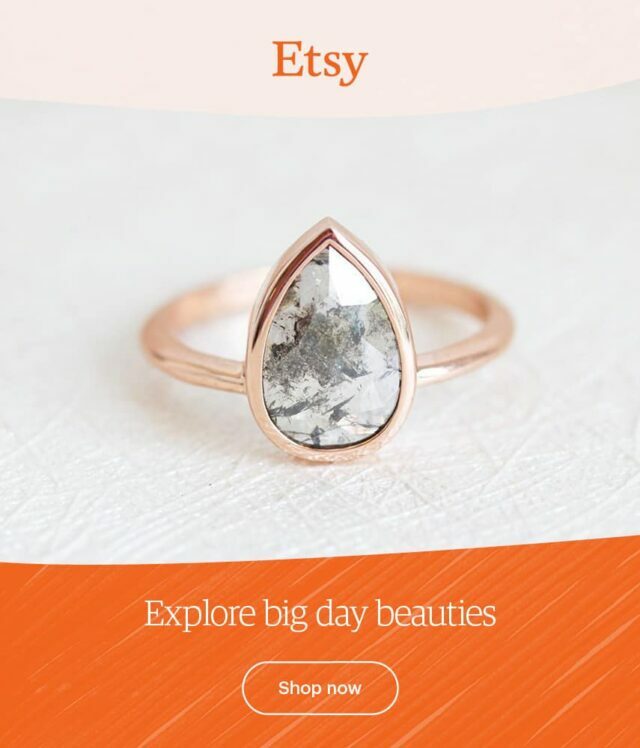 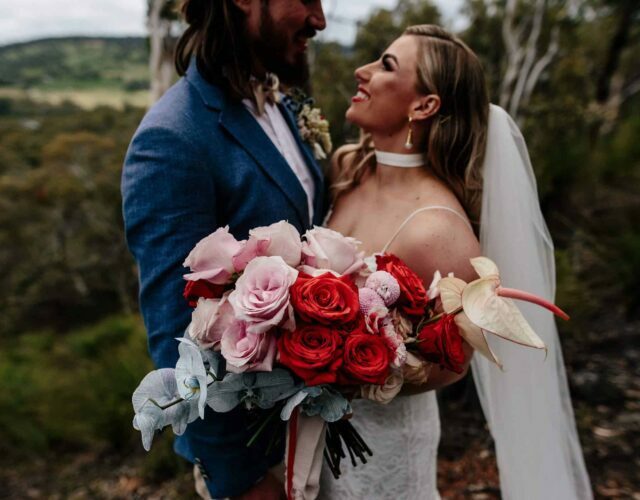 After convincing a slightly resistant Jess to hike up Stony Hill whilst holidaying in Albany, Luke popped the question at the peak, with panoramic views of the ocean and national park as backdrop. 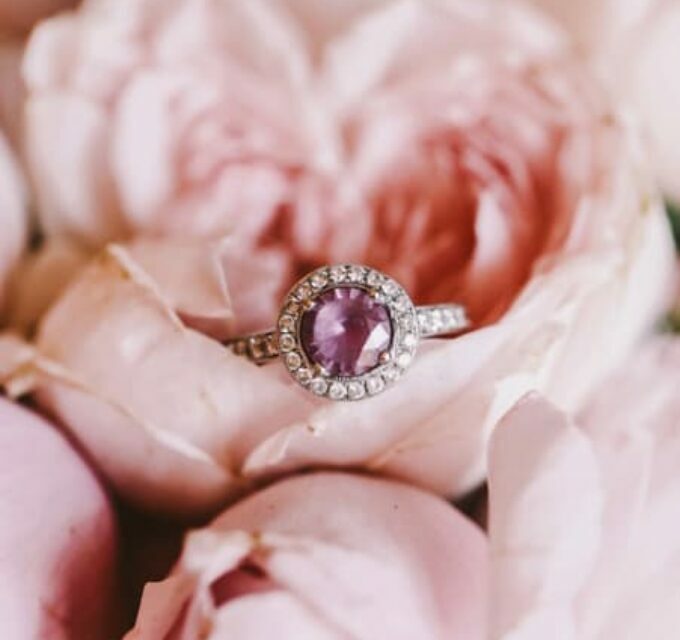 Jess of course said yes, and how could you not, with a proposal like that? 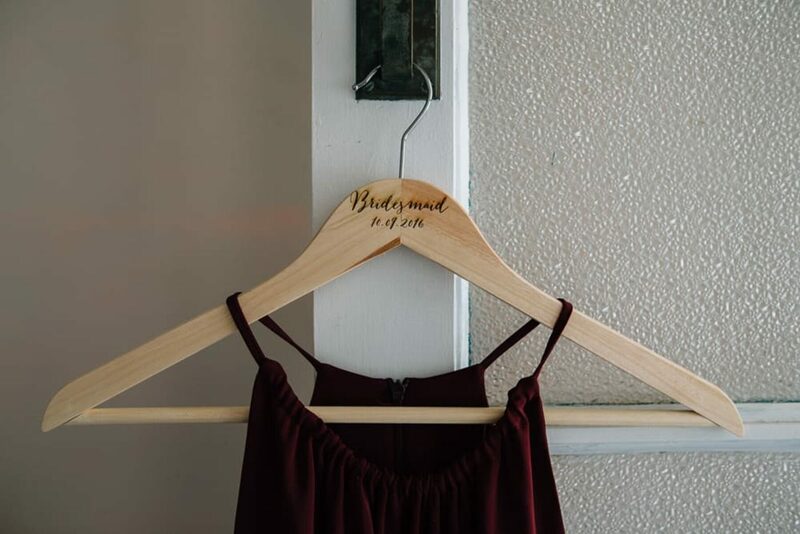 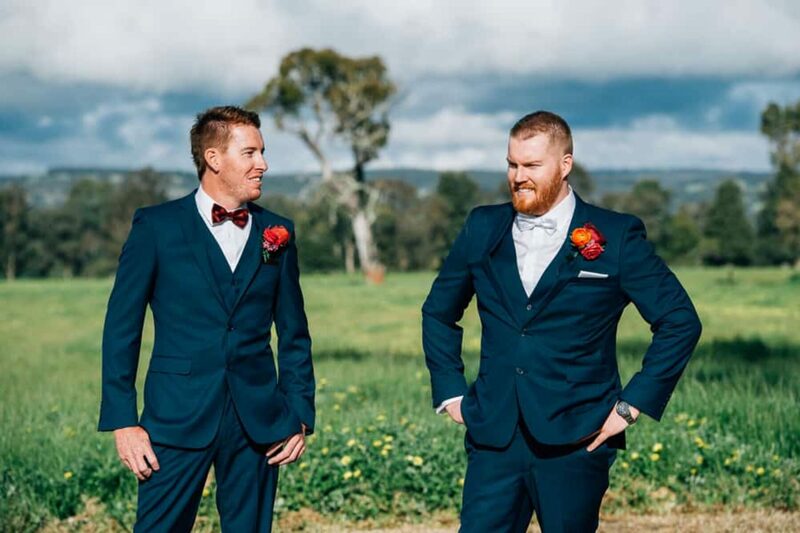 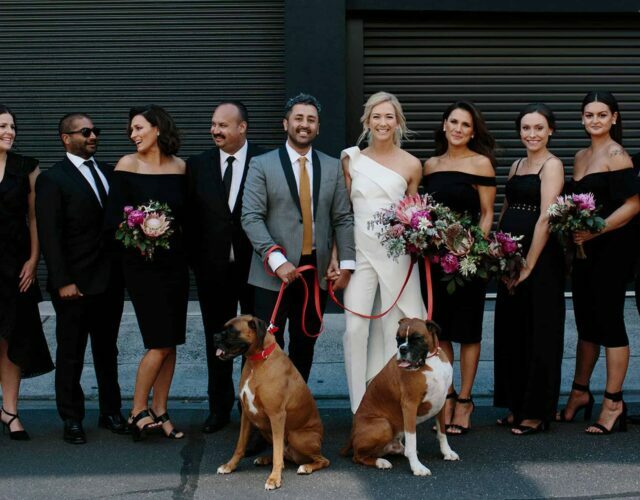 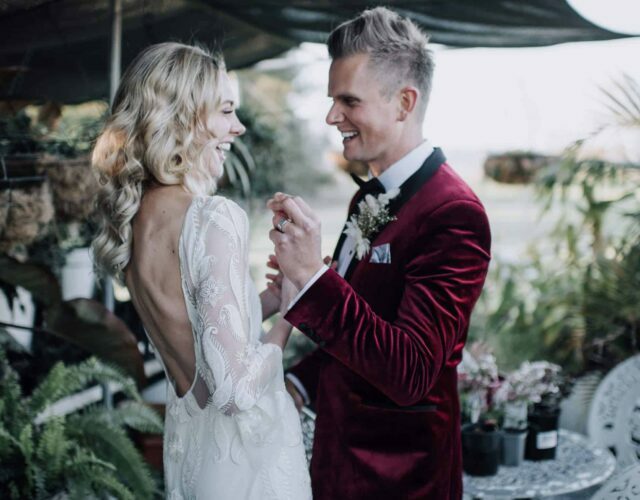 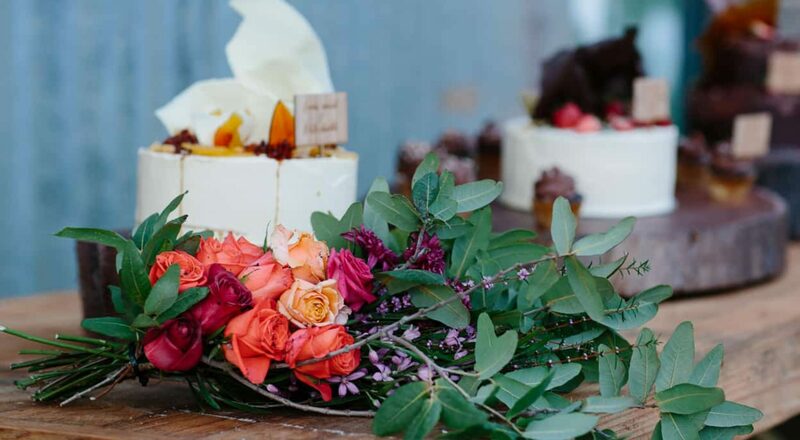 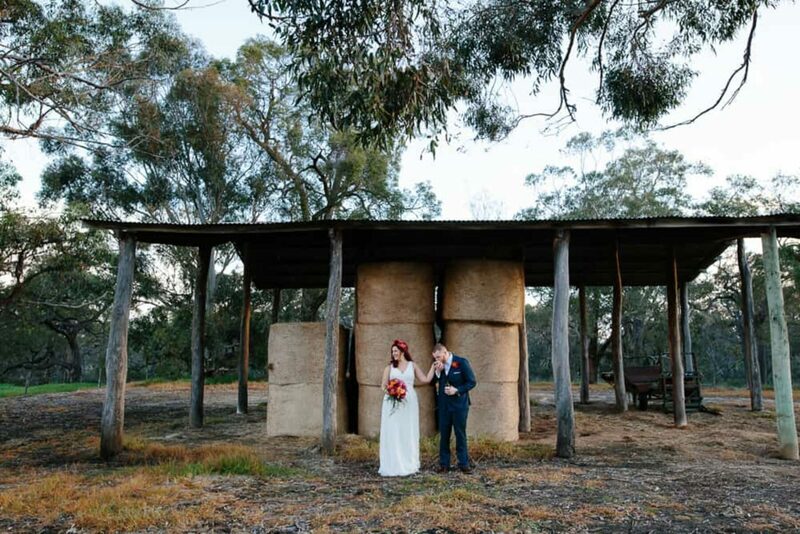 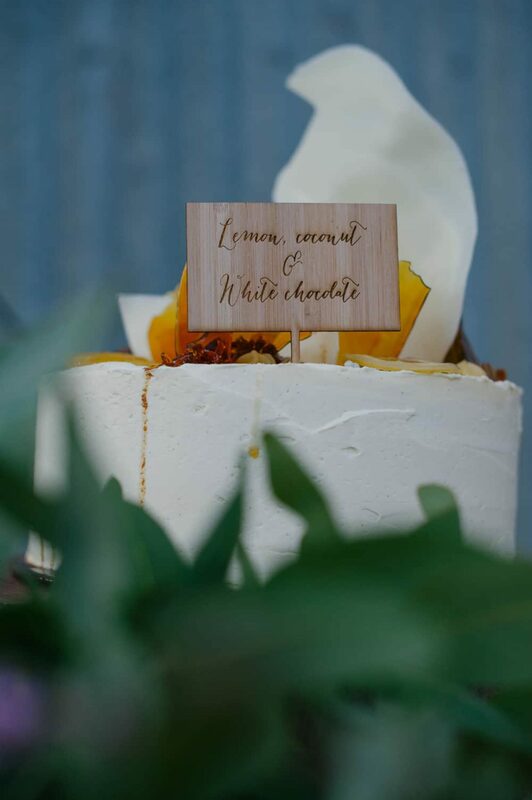 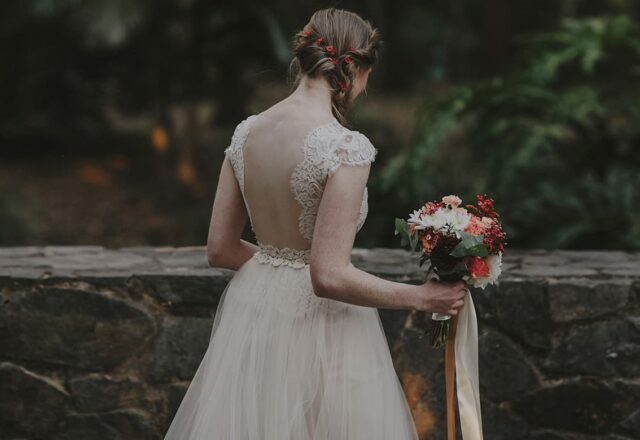 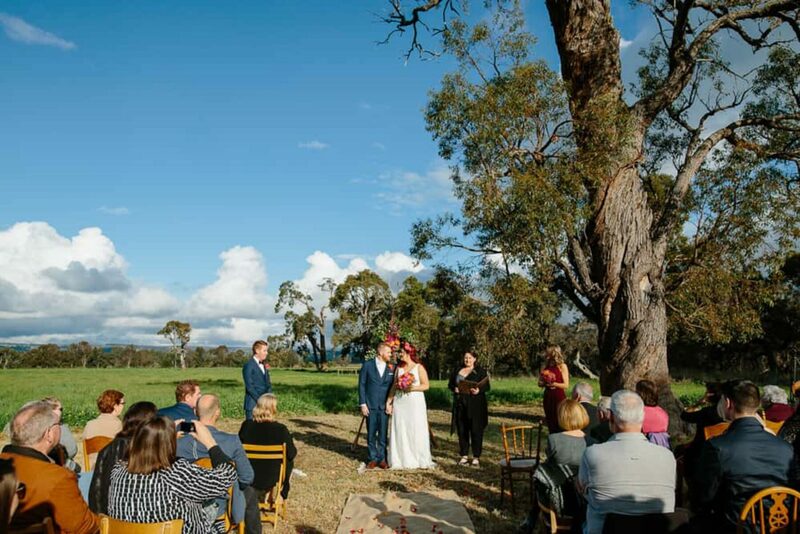 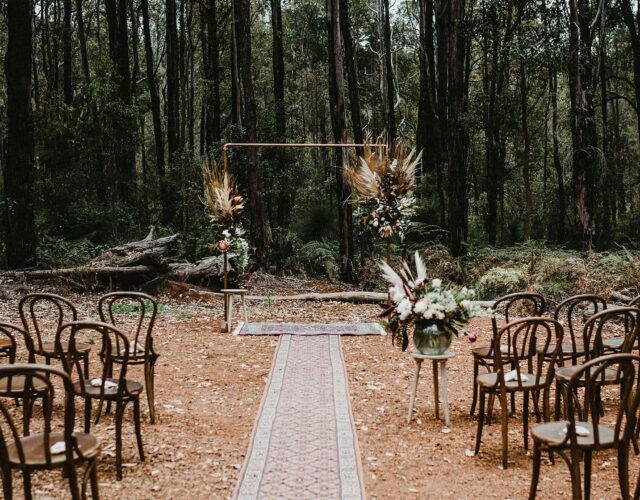 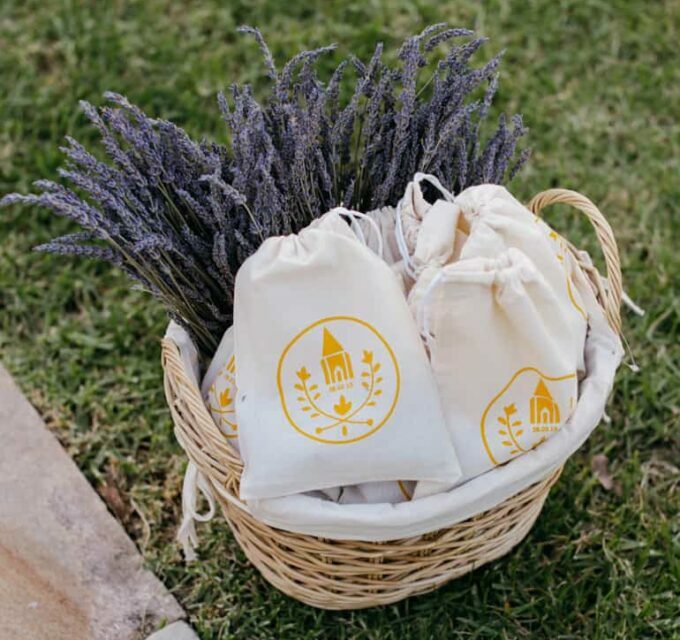 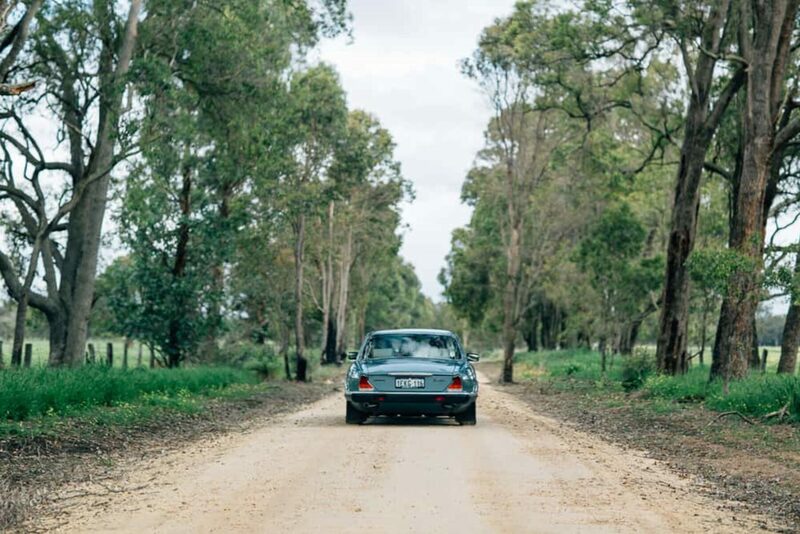 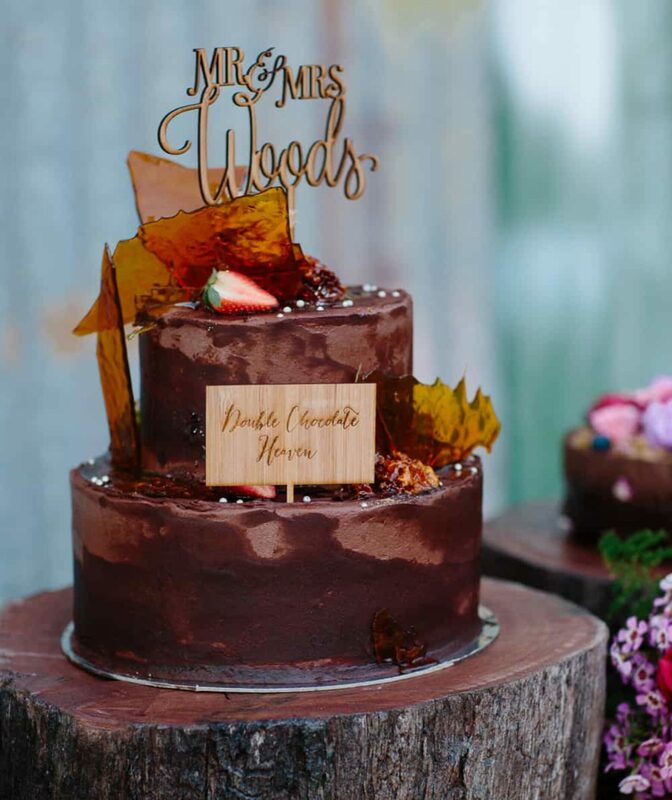 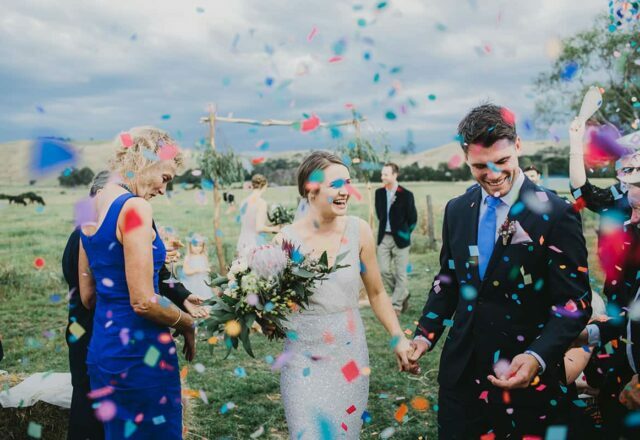 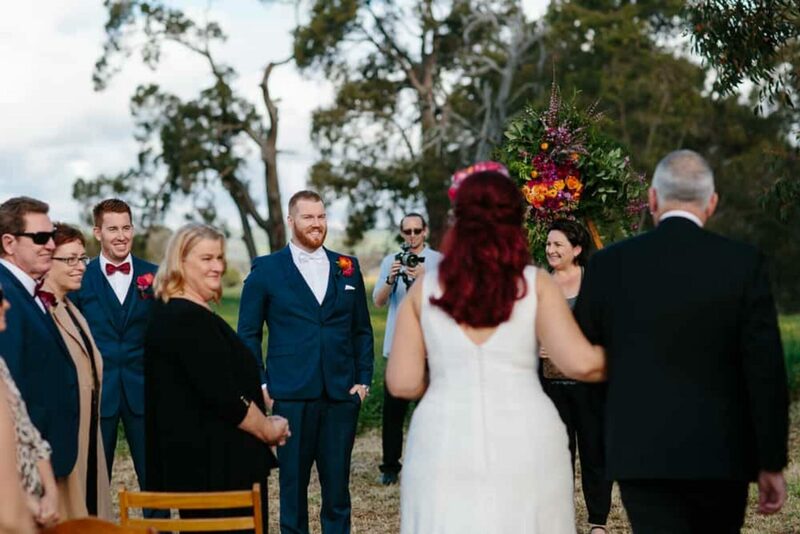 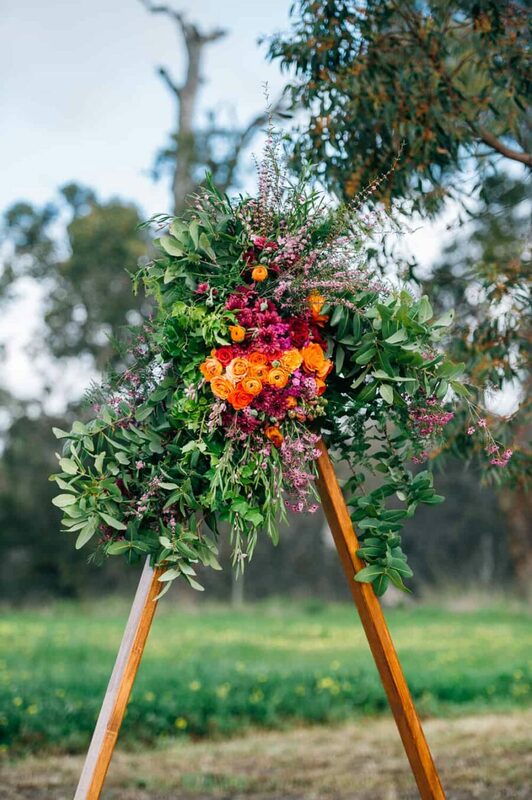 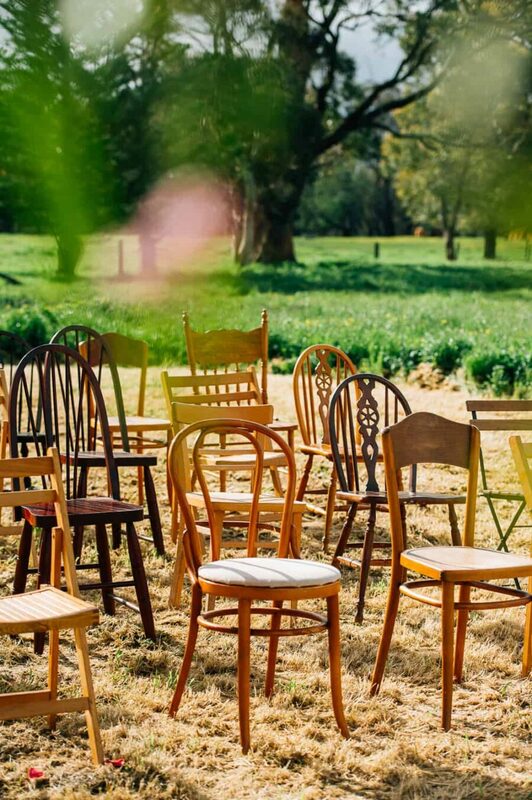 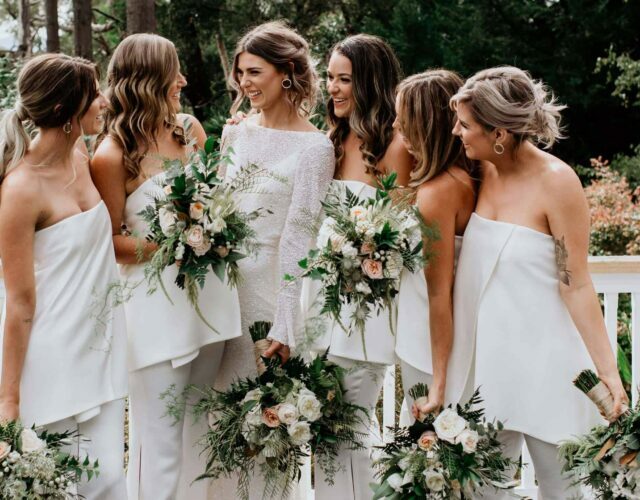 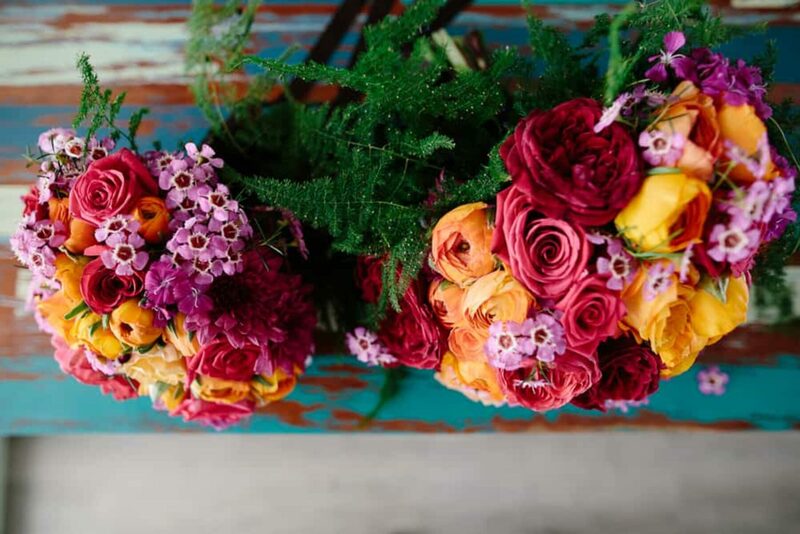 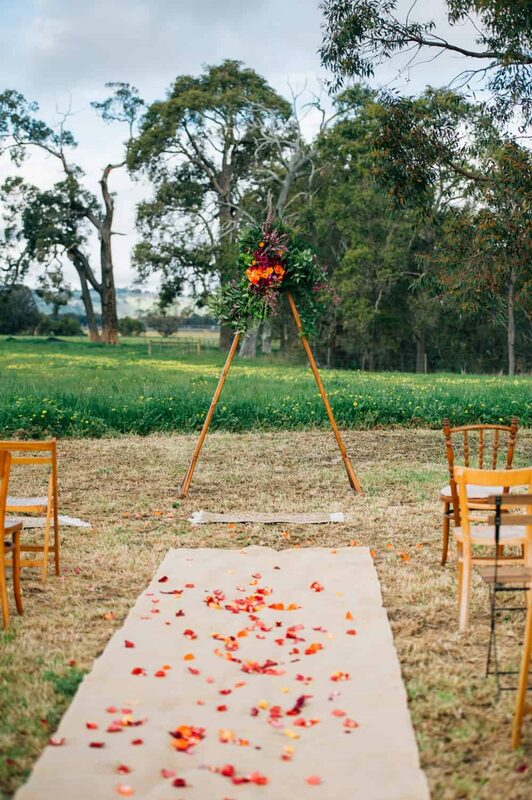 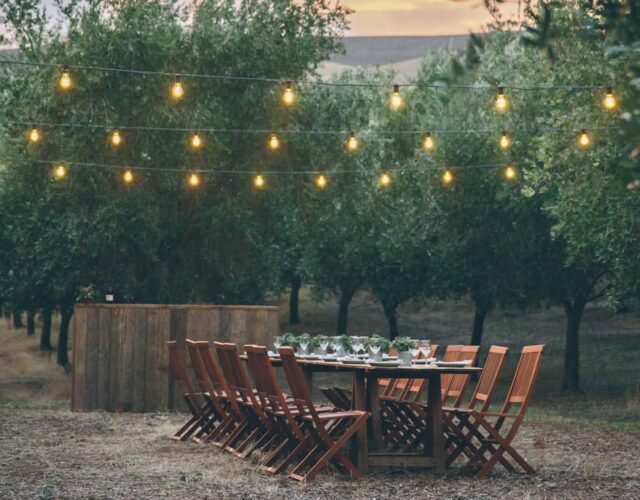 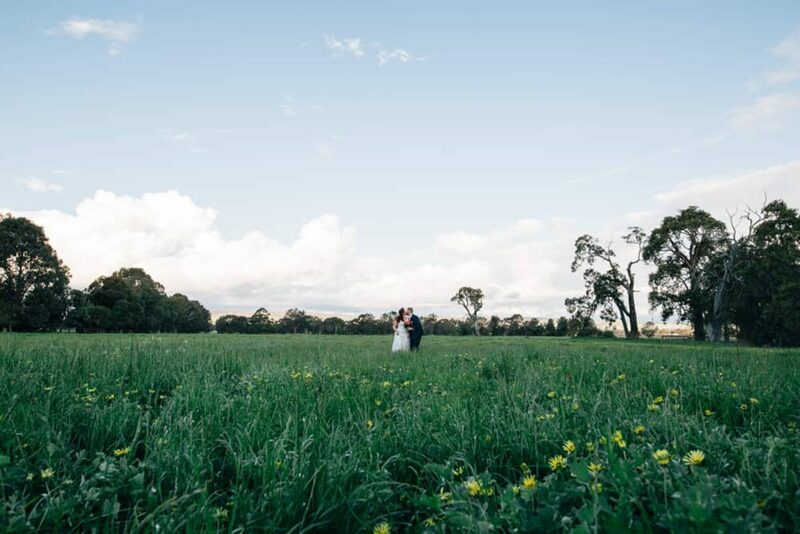 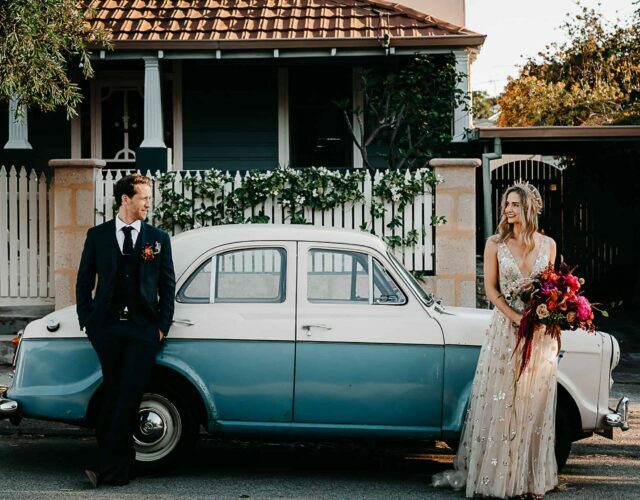 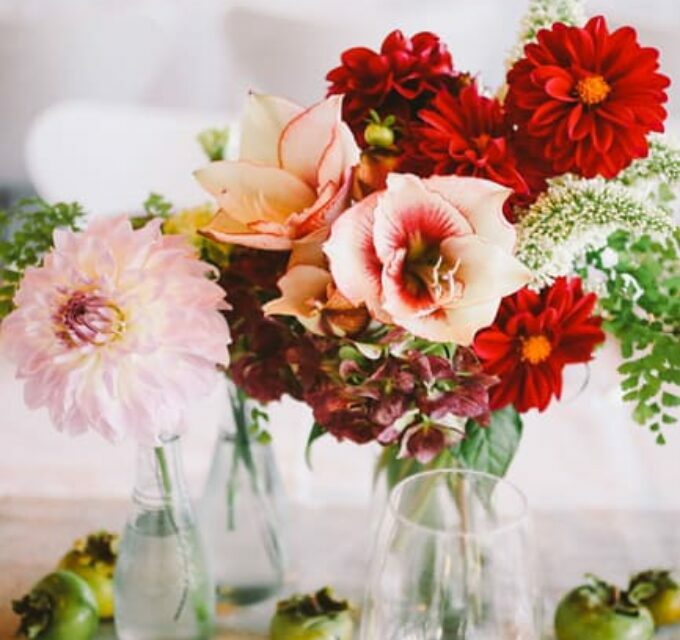 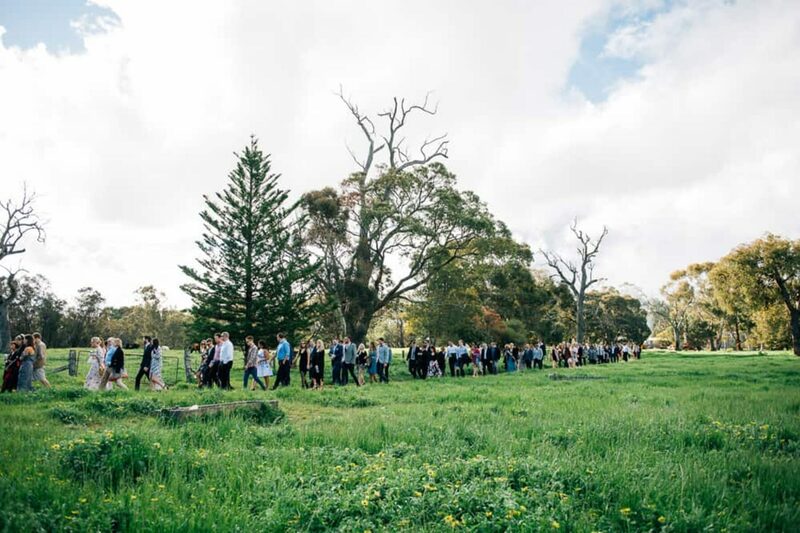 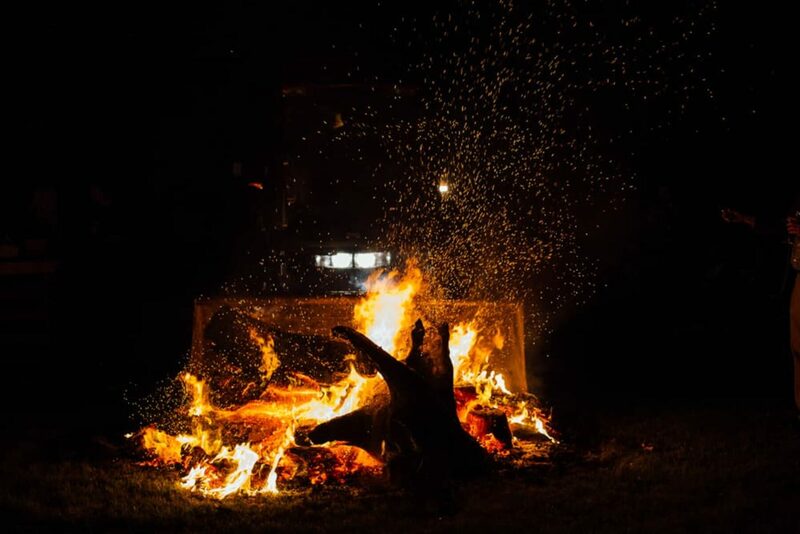 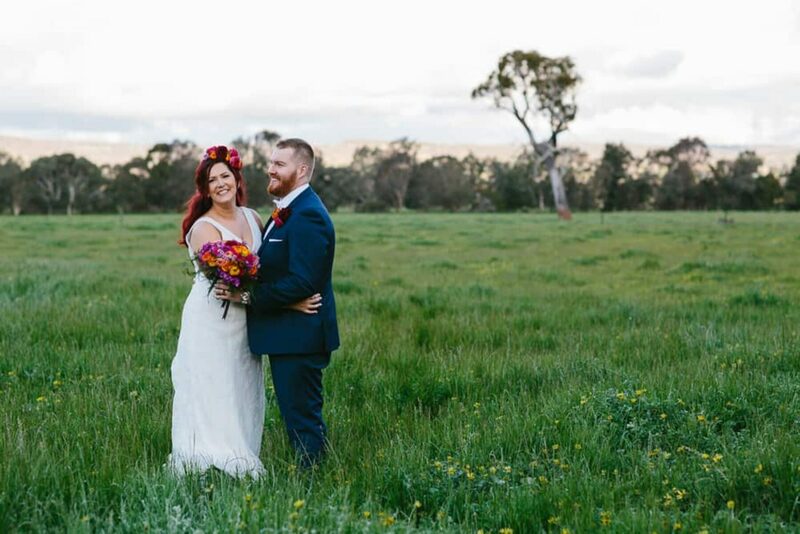 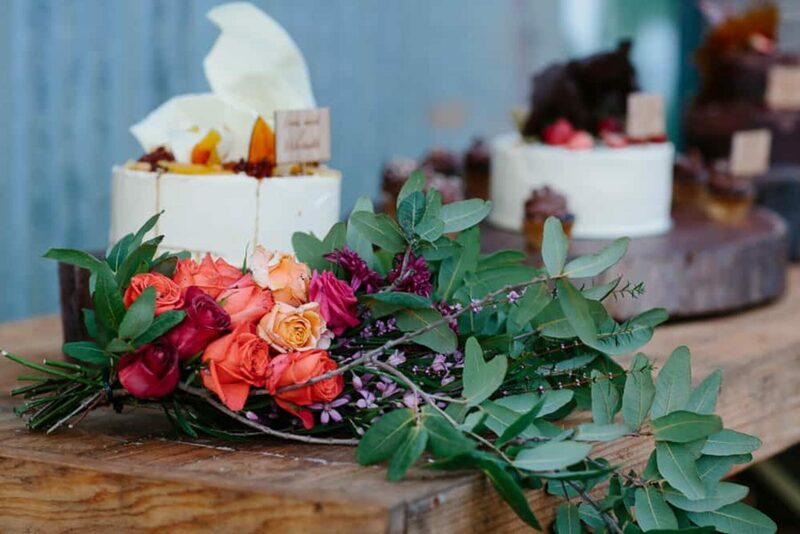 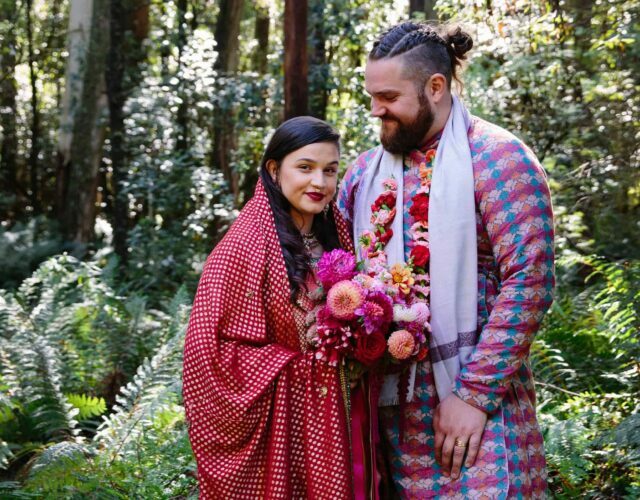 With an innate rustic vibe, the couple channelled farm feels throughout their wedding, from the relaxed outdoor ceremony to the picnic-style reception set-up by Picnic Tables Hire and catered for by everybody’s fave Perth food truck, Soul Provider. 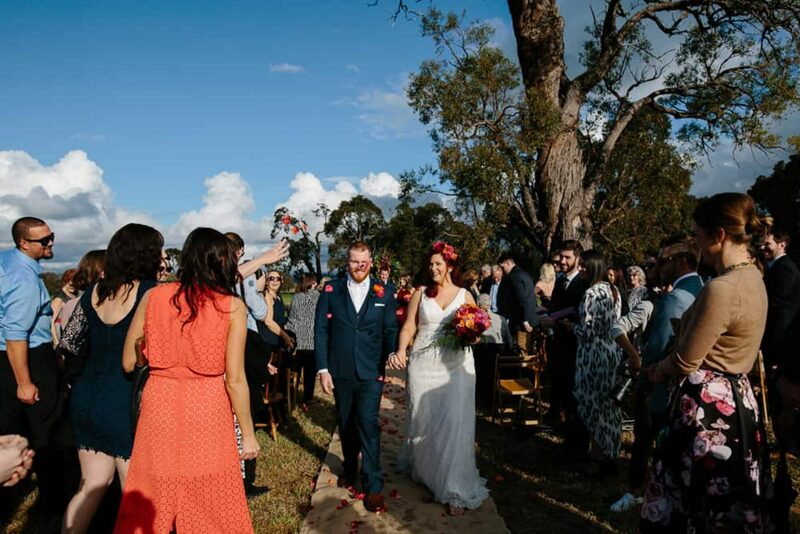 The always superb Peggy Saas did a wonderful job of capturing Jess and Luke’s day and she made quite the impression! 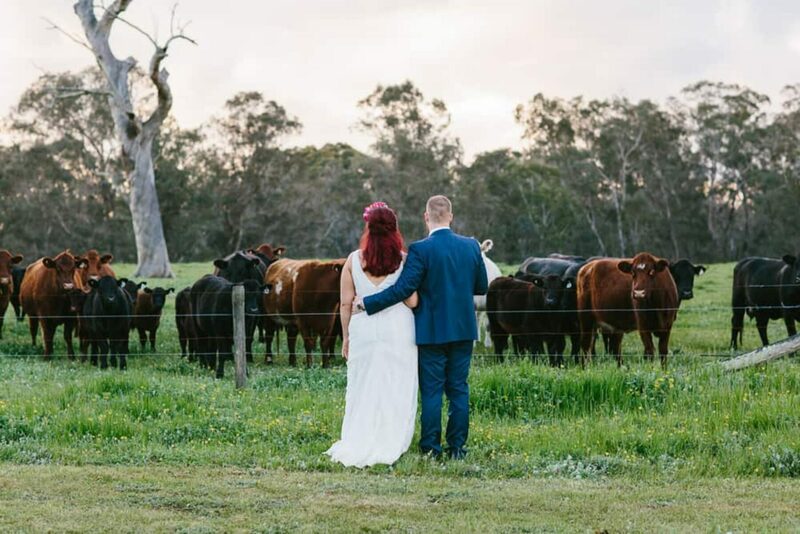 “Peggy was so calm and knew exactly when to take the perfect photo. 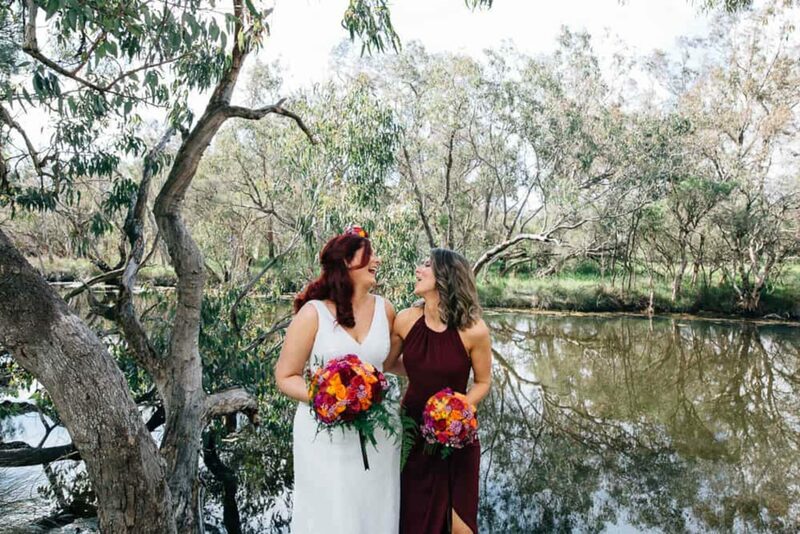 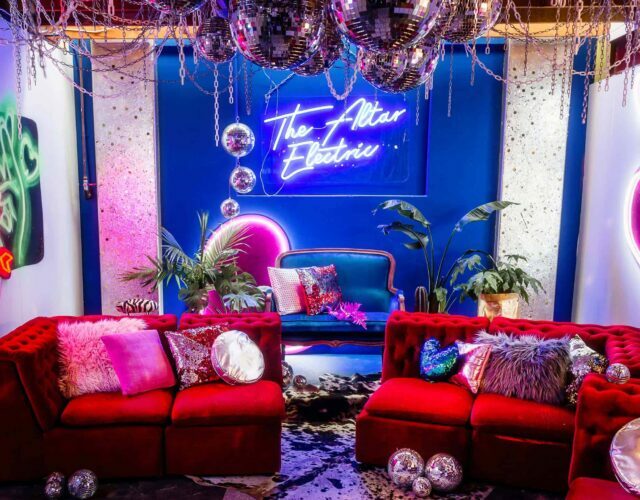 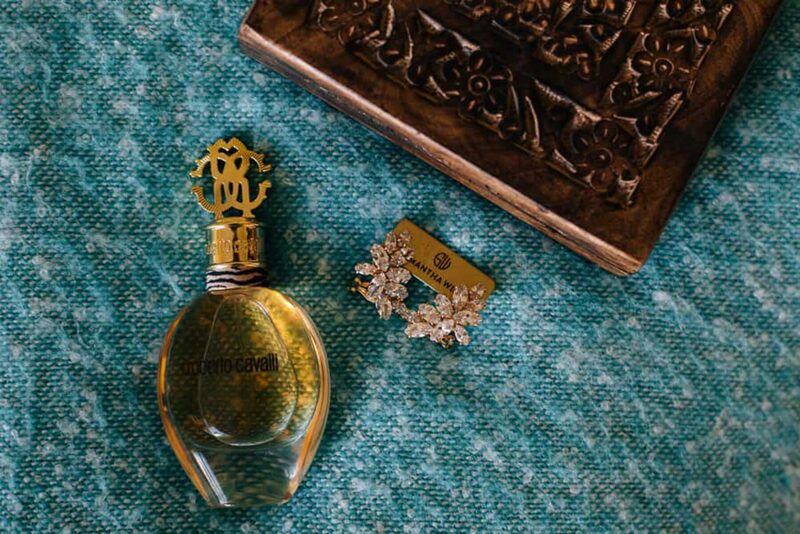 She was happy to take suggestions and was incredibly easy going.” Says Jess. 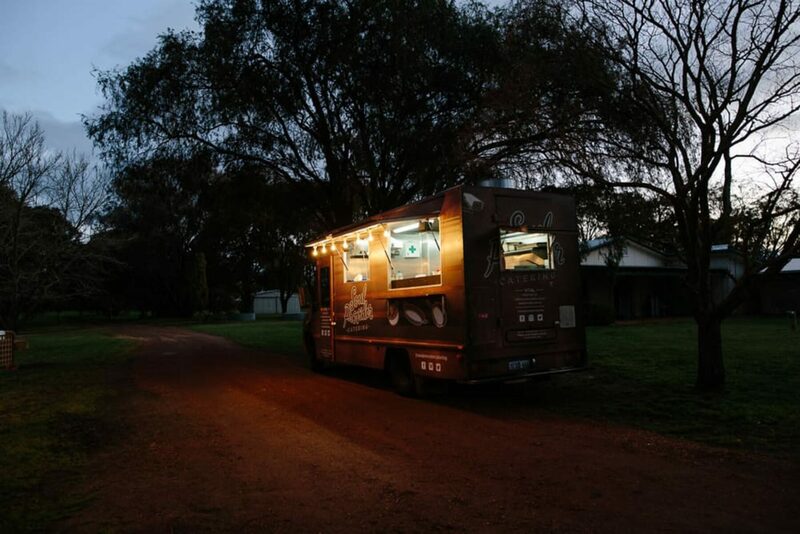 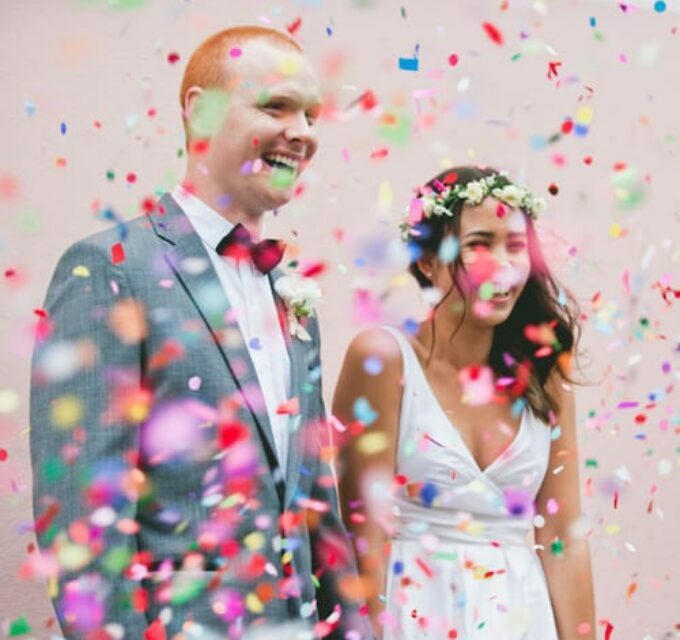 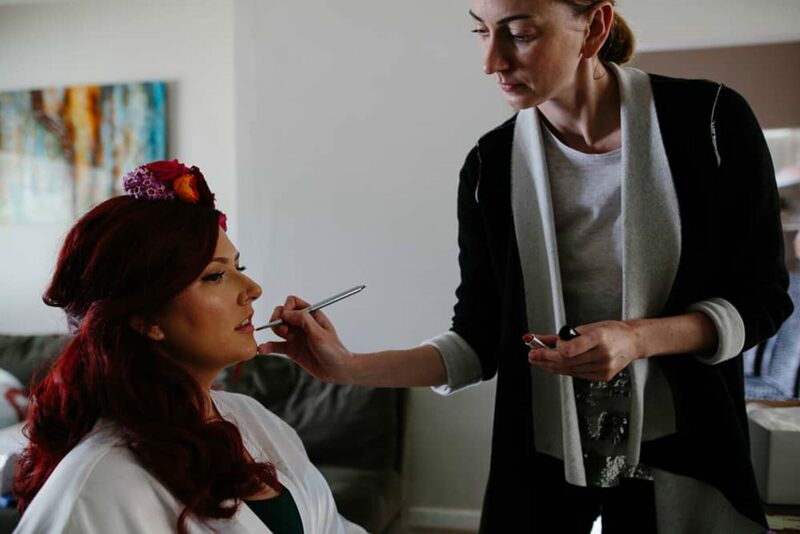 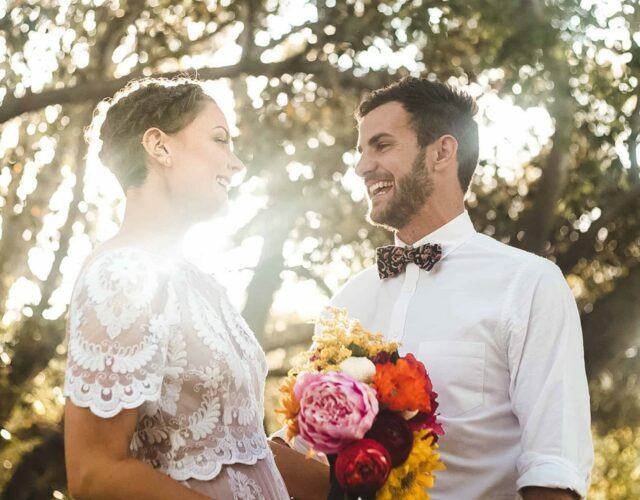 Perth food truck Soul Provider is always a hit and Jess and Luke's wedding was no exception! 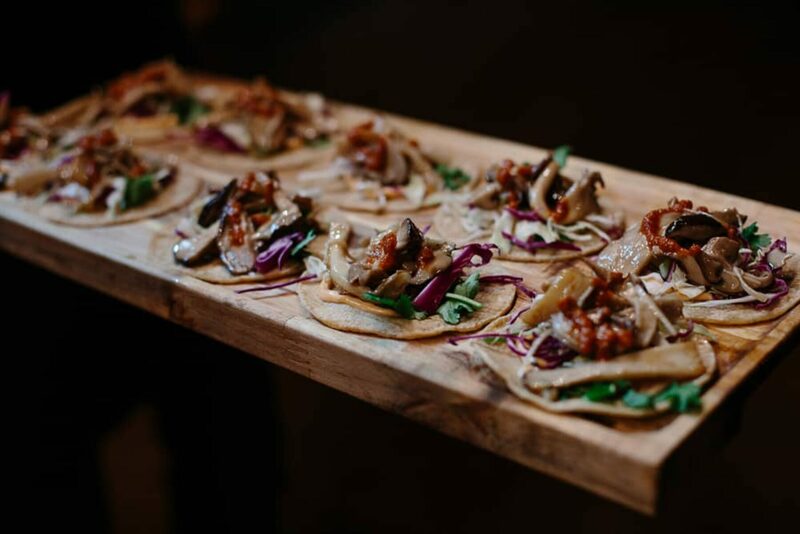 "Everyone loved the food and Vital was happy to accommodate to feed our vegan friends and celiac family."